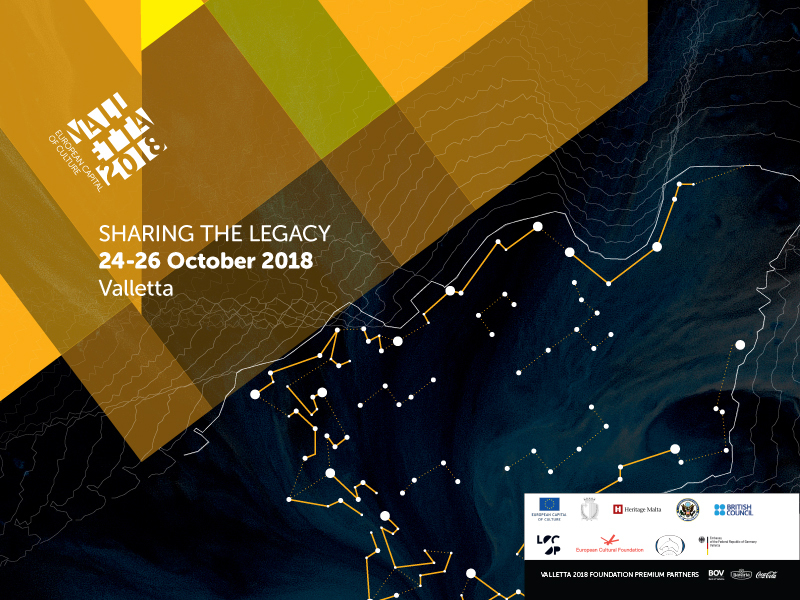 Registration for ‘Sharing the Legacy’, the Valletta 2018 Annual Conference taking place between the 24th and the 26th of October 2018, is now open, and this is your last chance to register at a reduced price! Early bird rates are applicable until Sunday 19th August. The conference is an invitation to assess and discuss the changing nature of the city and the future of cultural activity in Valletta. The themes for this year’s conference include Culture, Politics & Capital in Urban Transformation, Renewal of the City, The Unintentional Legacy, and Understanding the City. Interested participants may apply by visiting conference.valletta2018.org and following the registration link. Spread over three days, the conference explores the legacy of Valletta as a European Capital of Culture. What does the experience of having this title leave behind, both locally and across the European spectrum? The conference invites people to reflect on the central issues that define urban life, by channeling its discussions through the basic question of “What makes a city better?”. How can cities be shaped to better suit the needs and desires of the individuals and communities they host, whether on a permanent or temporary basis? From the creation of community projects to the regeneration of previously derelict areas in Valletta, cultural practices can foster a more vibrant and diverse city. These reflections allow for a deeper understanding of the long-term impact of the cultural, social and economic regeneration that took place in Valletta in the run-up to and throughout 2018, ahead of the presentation of the Evaluation and Monitoring results which will take place in 2019. A number of distinguished speakers will be sharing their own experience within the cultural spectrum. Prominent speakers include François Matarasso, academic and community art worker, Justin McGuirk, chief curator at the Design Museum in London and design critic at The Guardian; Pascal Gielen, professor in cultural sociology at the Antwerp Research Institute for Arts writer; and Ujju Aggarwal, cultural anthropologist at Parsons School of Design. This year’s edition will be the fifth one in Valletta 2018’s series of annual conferences. For further information, visit conference.valletta2018.org and follow Valletta 2018 on Facebook to stay updated.